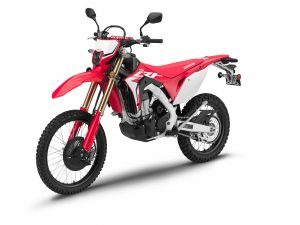 The long awaited Honda CRF450L will arrive to the dealership this September. Honda had a desire to produce a dual-purpose bike that draws strongly on the fundamental performance of a race machine CRF450R, and so they created the new CRF450L. It is unmistakably a race-bred CRF – and looks it – but with the additions and modifications needed to make it both road legal and supremely useable in a trail environment. As such, the CRF450L is a complete package, as happy roosting trails as it is linking them up on-road. And with Honda engineering and build quality at its core, is sure to do so for years to come. The journey from full race to road legal trail was a detailed one for the CRF450L. Road legality required the engine to gain EURO4 compliance, while from a longevity and usability viewpoint, the power output and character, needed careful attention. It’s still a CRF450R; just one that’s quieter, both mechanically from the chassis and engine, as well as its new exhaust. Both fuelling and ignition maps are now managed by 02 lambda sensor; compression ratio has been lowered and crank mass increased for improved drivability. The gearbox is a 6-speed – for longer legs on the road – and a cush drive has been added to the 18-inch rear wheel. The plastics are lifted directly from the CRF450R and all lighting is LED, with the front headlight in particular throwing out a penetrating beam. 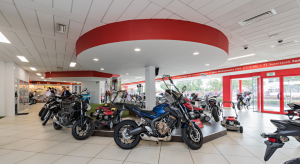 Increased volume for the titanium fuel tank adds range and all the items that make the CRF450L ready to purchase as a licensed, road going machine – such as speedometer and horn – are present as standard. 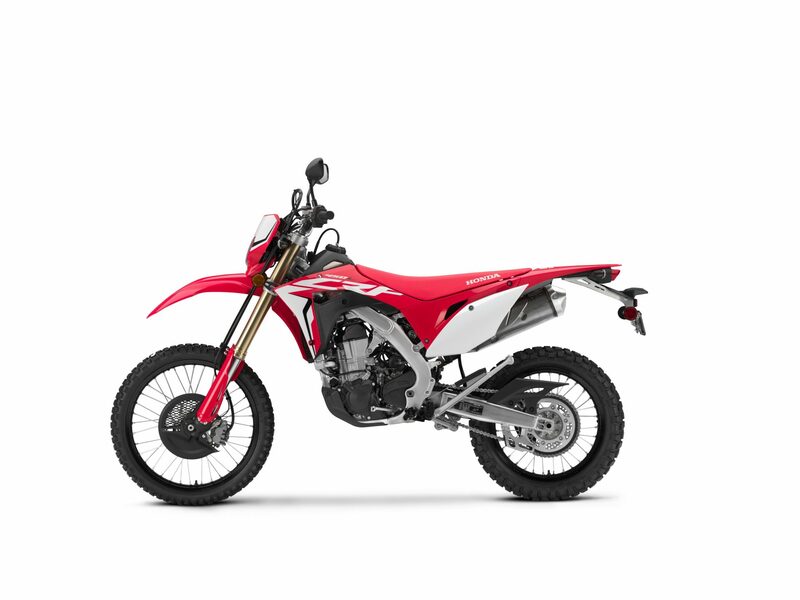 We’re expecting the CRF450L into the dealership in September – October. Prices to be announced closer to the time.